Peekaboo was adopted March of 2013. I was told then he was about a year, but I don't think the rescue people actually knew. They'd only had him a week or so. He was neutered on Jan. 30, 2014. No problems; no pics. March 31, 2014 - examined for limp, rt front foot. Vet thought possible bumblefoot. Prescribed Azithromycin & Metacam (didn't note dosages) for 7 days, and told to soak foot in 1/10 Betadine solution twice daily for 5 min. Told to give 1/4 orange daily for possible Vit C deficiency. April 20 - limping much worse; doesn't want to move except to get to food or run from me. "Melts" to floor after standing for a minute or 2. April 21 - X-rays - nothing definitive. 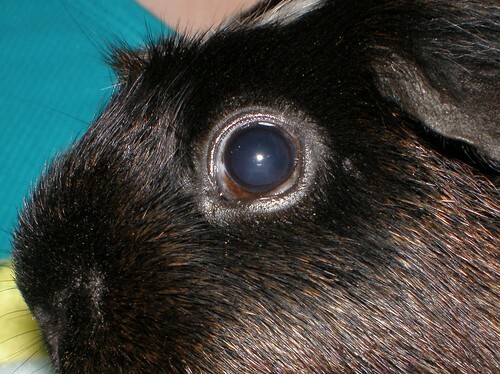 April 25 - New, more cavy-savy vet - Dr. Aaron Gilbertsen, VCA Ocean Beach Animal Hospital, Longview - examined Peek; couldn't find any obvious problem. Requested copies of x-rays. Copies sent and he examined them on or about 5/6. He couldn't find anything either. Suggested taking higher res X-rays, but by then Peek was nearly normal again. May 3 - Peek is running around playing with only a slight limp. Stopped Metacam to see if this was a true improvement. Peek must have returned to normal... No more notes. Nov. 13 - Annual exam, everything good; requested a stool sample due to mushy poos produced by Peek or Fuzzbutt. Submitted sample and came back clean of parasites on Nov. 15. 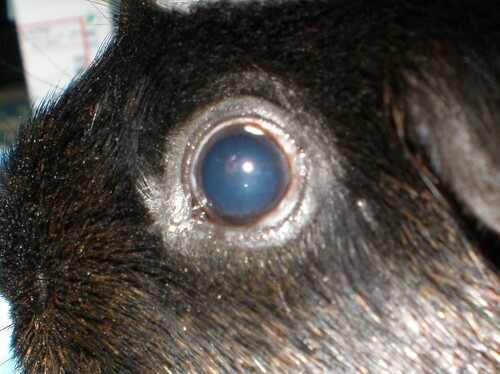 All guinea pigs treated with Ivermec several times (at least 3 weeks each period) over the last year for lice. March & April 2015 treated with Revolution, just in case. due to problems with Flossie (see Flossie's threead). April 21, 2015 - Limping heavily; Seen by Dr. Baumgartner @ VCA. Possibly arthritis, since episodes seem intermittant. If it happens again will have new x-rays done. Agrees Peek seems closer to 5 yrs old than 2 or 3. Prescribed Metacam 1.5mg/ml/1ml DISPMED "Give 0.05 ml once a day as needed for limping"
I added your pics. Thanks for using Flickr! With the first vet and incidence, was there any sign of pododermatitis? Is there a ring/marker around the ankle in the first xray? This is very unusual. I wonder also if this is somehow related to a heart issue (weakness) more recently. Has the Metacam seemed to work since then? I think the vet was NOT that experienced with guinea pigs although she claimed she was. Her specialty was breeding dogs. I think she pulled out her book to help diagnose his foot, and got that wrong anyway. I couldn't see any swelling (since he was my first, I could very well have been wrong), POSSIBLY some dryness, but I don't think that showed up until after I started soaking it. I do have pics, sorry I didn't post 'em. I'll do that here. The Metacam does help, after a few days or a week on it, the limp goes away. If I don't use the Metacam, as in the first time, the limp hung around for a while; dates are posted. "Ring/marker" No clue. I wouldn't know what's normal or what's not unless someone told me. This vet and the next looked over the x-rays and neither commented except to say they couldn't see anything abnormal in them. Here's something weird I just realized today: Both incidents happened in the spring: March, April, May... I've never noticed a limp any other time. Now for pics of foot. I see what you are talking about Lynx. I'm wondering if it may be a temporary tie down to keep the pig from moving during the X-ray? Yes, actually that's what it was. The image was larger and to hang on to as much detail (and not have to shrink it), I moved some data and cropped it. Yes, it was a restraint. By the way, the feet look fine to me. I don't think your guinea pig had pododermatitis at all. 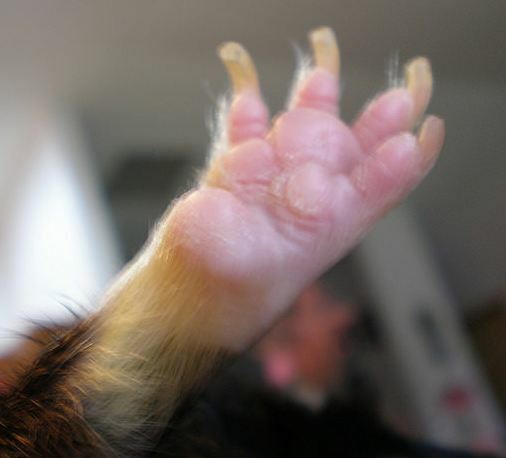 I dont really have anything to contribute here but it seems like I've been seeing a few people who have been having limb paralysis/limping issues develop after a neuter or a spay. Could they be related at all? 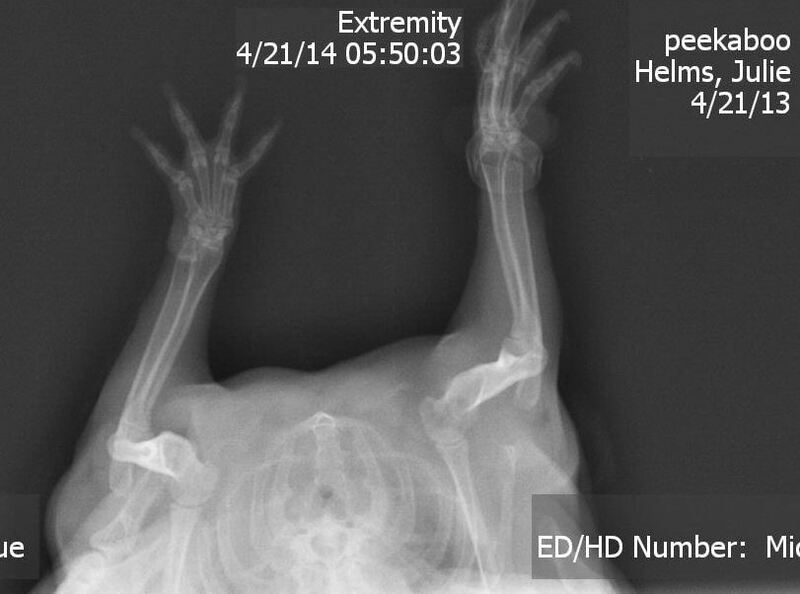 Peek has only had the limp on 2 separate occasions: March 2014 and April of 2015. I adopted him in March of 2013, and he showed no signs of a limp the entire next year. Because he is 1) inactive; 2) slower recovery from anesthesia; and 3) the limp, his current vet (a cavy-savy lady) agrees with me that he is more than likely 4 yrs old or older. She also mentioned something about his teeth showing a little more age or wear or something - sorry, I can't remember exactly what she said about them. Anyway, please tell me how a neuter can cause intermittent paralysis/limp in a front leg. 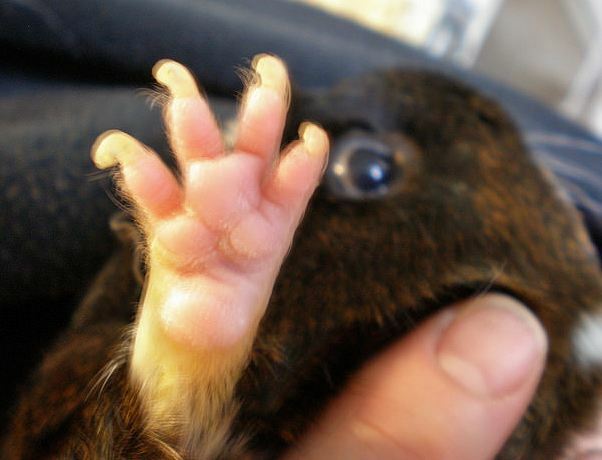 I'm very inexperienced with guinea pigs. I don't see how they could be related, except maybe the change in hormones. The seasonal thing, again I don't see how. It looks like you're a greal record keeper that is for sure. Delayed infection? A blood panel to diagnose? One would think if there were any sort of injury related to the surgery that it would be evident early on. Thanks, Wheekers3. I learned to keep their records from this site, lol. EVERYTHING I learned about guinea pigs (worth learning, anyway) I learned from this website. Since he's never really shown signs of being ~ill~, we've not felt it necessary to put him through a blood draw. Should I? I guess it is something to consider if you end up still having unresolved issues later. Neurological damage postop is emphatically very possible, however. I have had two vets tell me that cavies have a major junction of large nerve bundles near where our lower back would correspond to. We have had one develop paralysis after a difficult stone surgery. 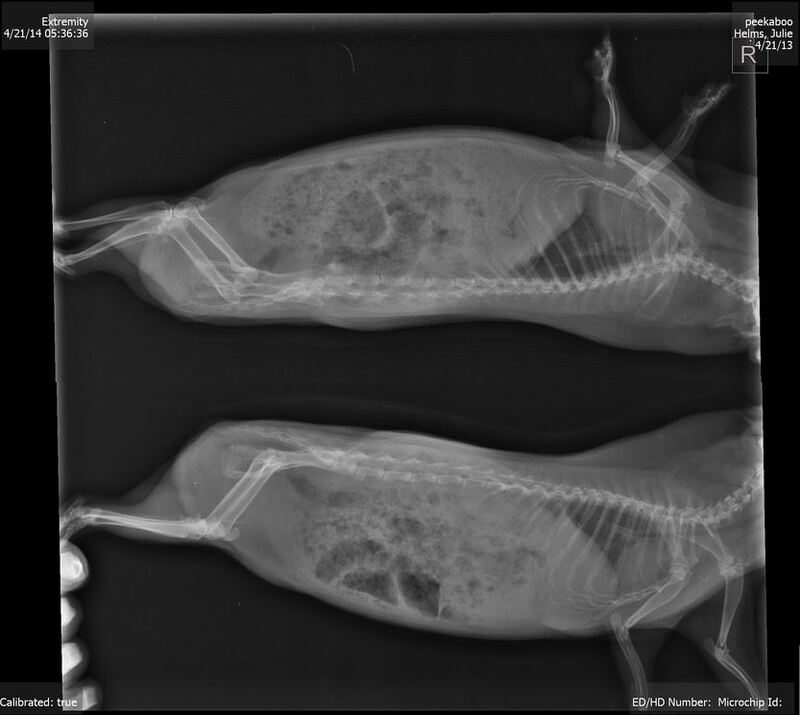 Anytime they are placed on their backs (stone, neuter, spay) and the surgery is extensive or delicate, I think there is a greater risk of involving or damaging these nerves, even though it may not fully manifest until a few days later. We have had others develop a temporary paralysis that cleared, as well. All that said, I think the feet look fine, too. Not looking for advice - not yet, anyway. Any kind of comment is always welcome, though. Don't remember seeing it before and I tend to look into all of my pets' eyes a lot. Will be keeping an eye on it. Behavioral abnormalities: The last 10 days, maybe 2 weeks, he's not only been anxious to avoid being picked up (normal), but now as soon as I get him positioned safely on my hand & wrist, he races up my arm as far as he can go and hangs his head as far out and down as he can; definitely wants to jump off/down. When he's in the big cage, he takes food willingly from my hand. When we snuggled last night, he refused it all: carrot, pepper, and lettuce. Unheard of for Peek to refuse food! Once I put him in smaller temp box, he ate as long as he couldn't see or hear me. This morning he came to me for his Vit C tab, as usual. 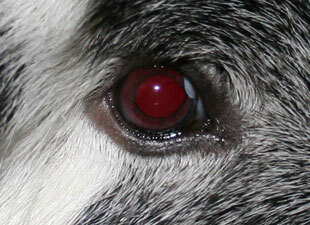 Will attempt to get a photo of eye if abnormality is still there this evening. Did you change your laundry detergent, or use more bleach, perhaps, than you normally would? I added image tags so people could see the picture you were referring to. Thanks, Lynx. I had one of those brainf**ts and couldn't remember how to do it. No to any laundry changes, Talishan. No longer use bleach; use detergent, detergent booster, and vinegar. Top shot is less blurry, but bottom shows the white spot along the top of the iris better. Feel free to delete or make whatever changes you'd like, Lynx. I can never decide which shot works better for records. I'm not sure but I also think he may be developing that fatty deposit (Pea Eye? 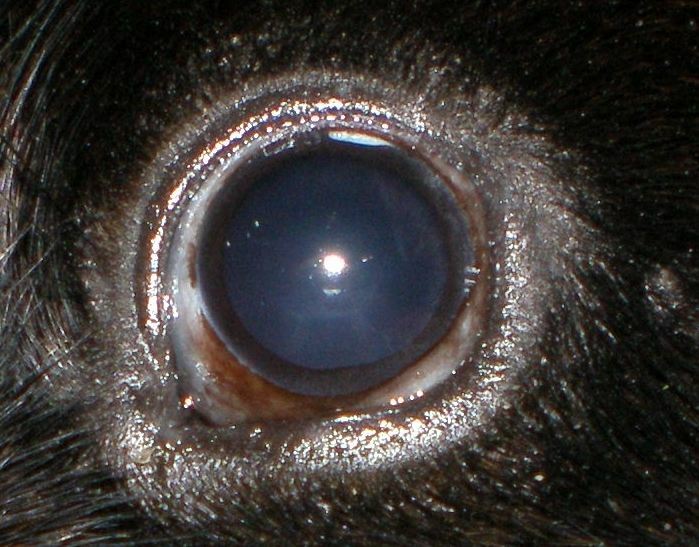 ), more so in the other eye than this one. Annual exams are due in November. I'll add this to the list of things to discuss with Dr. Baumgartner then, if I don't need to take him in before. Tonight, he ate about half of what I gave him during cuddles. Only difference on my part was I had him on a blanket tonight instead of in a cuddle sack. Also, he seemed more comfortable in my arms this evening. I think you are right on the calcification. And there may be some pea eye/fatty deposits. If you get any more even clearer pics, you are welcome to add them. Thanks, Lynx. Did you want a picture of the other eye which has what appears to be a much larger fatty deposit? If you can get a nice crisp photo, sure!